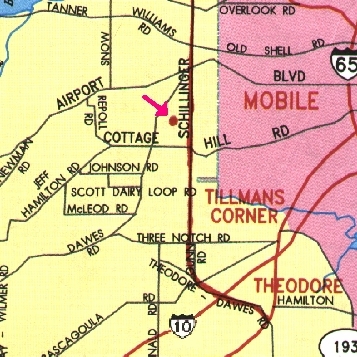 From the North - US 98 - Go south on Schillinger Rd until you cross Airport Blvd. We are 2.25 miles on the right. From the South (I-10) - Exit at the Theodore-Dawes Exit and go north, following the signs that direct you to the Airport. Theodore-Dawes Rd. becomes Schillinger Rd. After crosssing Old Pascagoula Rd., it is 2 miles to Three Notch Rd. Continuing north 3.5 miles on Schillinger Rd to Cottage Hill Rd. We are 0.7 miles on your left. For more indepth or customized directions please go to Duke Animal Clinic's page on MapQuest. 7:30 am until 5:30 pm. On Saturdays, the hours are 8:00 am until 12:00 noon. main clinic number (251) 633-9633. Copyright © 2003-2009 Duke Animal Clinic.com, All Rights Reserved.